These special chocolate strawberry recipes will add that "extra something" to whatever occasion you're celebrating. It's my observation that I sometimes "shy" away from certain recipes just because of their names. 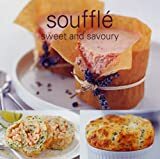 "Souffle" is one of those culinary terms that will send me running in the opposite direction of the kitchen! Must have something to do with my fear of falling (no pun intended)...BUT,since launching this website, I've become a bit braver and as I scan my sources looking for new ideas, I find myself willing to take on bigger challanges. One of the most important things I've learned from watching televised cooking shows, is that organization and preparation are key to any cooking adventure. Ever notice how organized and clean the prep areas are on TV? Well if you let "life" immitate "art" then you'll borrow from the pros and adopt some of their practices in order to attain their level of cooking success.(What?? Just a fancy way of saying "monkey see-monkey do") In other words--follow their lead. Before you prepare a new (or any) dish, READ the entire recipe before you begin! Lay out all of the ingredients and cooking utensils beforehand. Believe me...this will cut down on the mess, meaning less clean-up time for you. Also, if you're planning to prepare a new recipe...consider a "dress rehearsal" before the curtain goes up on a really special occasion (like upcoming holidays). This will definitely cut back on stress levels. (By the way, this is also a great, and cleaner, way to teach kids how to cook). Okay! Move over, Martha, Nigella and Jamie... we're heading toward the kitchen to try some chocolate strawberry recipes! Before you begin preparing this recipe, you'll need a quart souffle dish, a wire whisk, a rubber spatula, an electric mixer, kitchen twine and some parchment paper. If you've never baked with parchment paper....you've been missing out. I never knew what it was, now I don't know how to make cookies without it! Whisk together 1/4 cup sugar and 1/4 cup milk in a small saucepan. Bring to a boil and then remove from your heat source. Set this aside. In a separate (medium) bowl, whisk together 1/4 cup sugar, the flour and the egg yolks. Slowly add the hot milk/sugar mixture while you whisk constantly. Using an electric mixer fitted with a whisk attachment, mix the egg whites and cream of tartar until frothy. Increase to medium speed until whites peak, then gradually add 2 tablespooons of sugar. Increase speed to high until stiff peaks form. Head back to your chocolate mixture and whisk gently to let steam escape. Add 1/3 of the egg white mixture and whisk to combine. Bake for 10 minutes at 400 F; reduce heat to 350 degrees F and bake for 25 minutes more. DO NOT open the oven door while baking!!!! If you enjoyed these Chocolate Strawberry Recipes then you'll want to keep updated on all things strawberry. Sigh up for my FREE newsletter, and receive monthly recipe ideas and our own original strawberry cartoon.